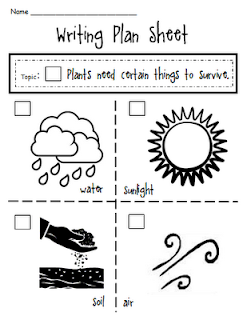 This week we are learning about plants. Here is an anchor chart I made to help us kick off our study. Here are a few of the books we are reading. 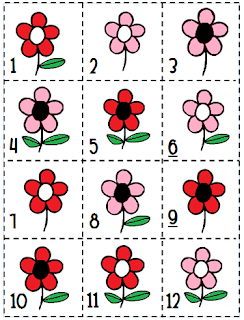 The students will be doing this flower garden part, part, whole and fact family activity. 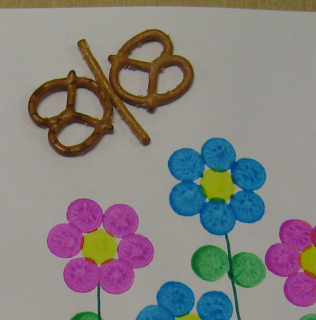 The flowers were made with Do a Dot markers. 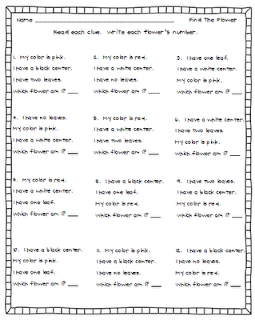 The kids will choose two colors of flowers to put in their garden, then fill out their recording sheet. The butterfly is made out of pretzels. We will be doing even more fact family practice. 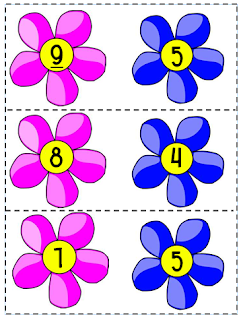 Students will choose a card with two numbers on it and either add or subtract to get their third number and then write its fact families on the petals of a flower. 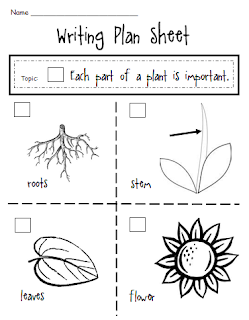 We will also be doing some writing this week and I made a few writing plan sheets for my students to use. If you are new to my blog and want to see how I use these plan sheets you can click HERE. 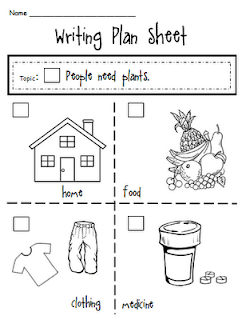 You can grab a copy of all these activities by clicking on any of the pictures above. We, of course, will be planting some beans and grass. We will also be labeling the parts of a plant. I will post more pictures of the stuff we do later this week. And now for my happy news. I won the Learning Resource Lunar Interactive Projection Camera from Swamp Frog First Graders give away. Thank you Heidi and Learning Resource! I am doing the happy dance! I know I will be posting pictures of that little jewel in my classroom. I can not wait to use it. Those butterflies are very cute! Super cute! Love the fact families. Just what I need this week. Thanks for sharing!